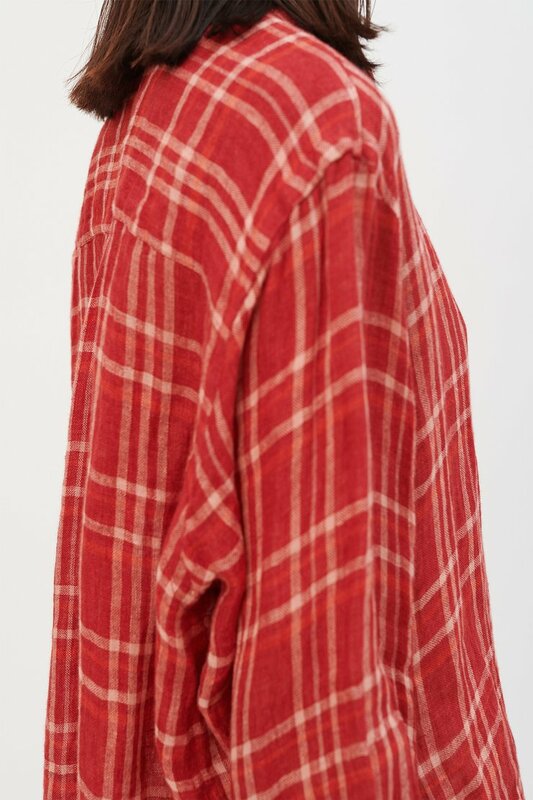 Our Lend Shirt in Small Red Linen Check. 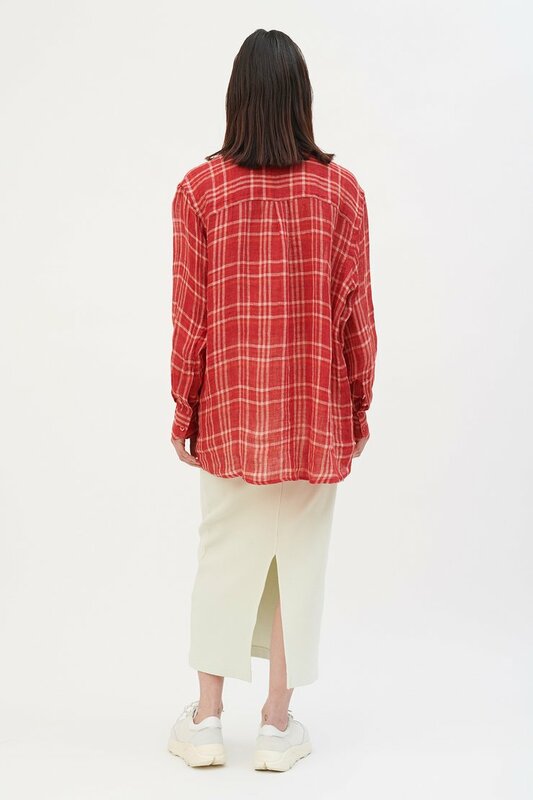 Produced in a delicate Italian linen, the Lend shirt has a wide oversized cut and features mother of pearl buttons, a single chest pocket, mitered cuffs and a curved hem. 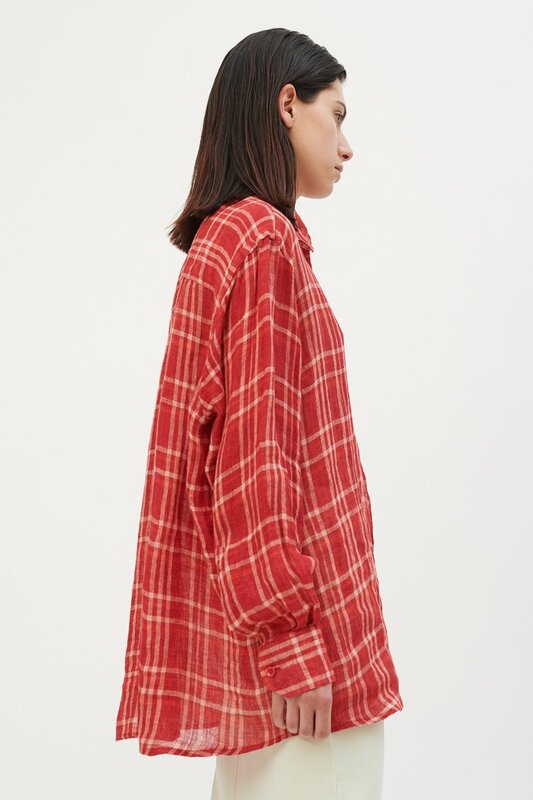 Our Lend Shirt is designed to be oversized, with a generous wide cut. 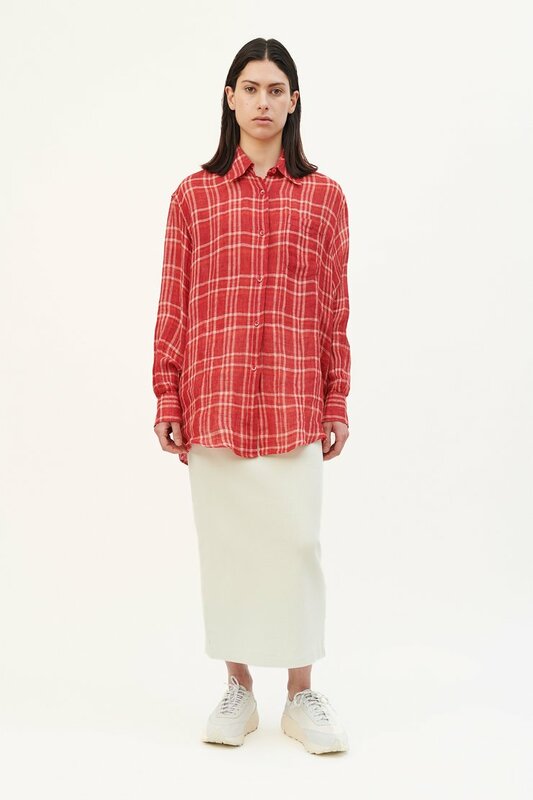 The model is 172 cm tall and is wearing a size 36.